Ilo May Edbom was born on August 17, 1916. Her parents were Alfred and Gertrude Reed. Ilo married Brue Edbom in June 1936. They had four children, James Alfred (Elsie) of Prince George, B.C., Doreen Lewis (Robert) of Regina, Saskatchewan, Linda Yaremchuk (Bill) of Sundown, Manitoba & Susan McLean (Doug) of Piney, Manitoba. Brue & Ilo farmed in Piney, Manitoba until Brue’s passing in December 1975. Ilo was predeceased by her loving husband, Brue, her children James Edbom & Susan McLean; her mother Gertrude Skokstad in 1920 and her father, Alfred Reed in December 1961 as well as her sisters, Hazel Johnson, Irene Fitzpatrick, Nina Crosland, Vernoa Anderson and brother Rennel Reed. Ilo is also predeceased by her grandson Terry Yaramchuck and son in law, Robert James Lewis. 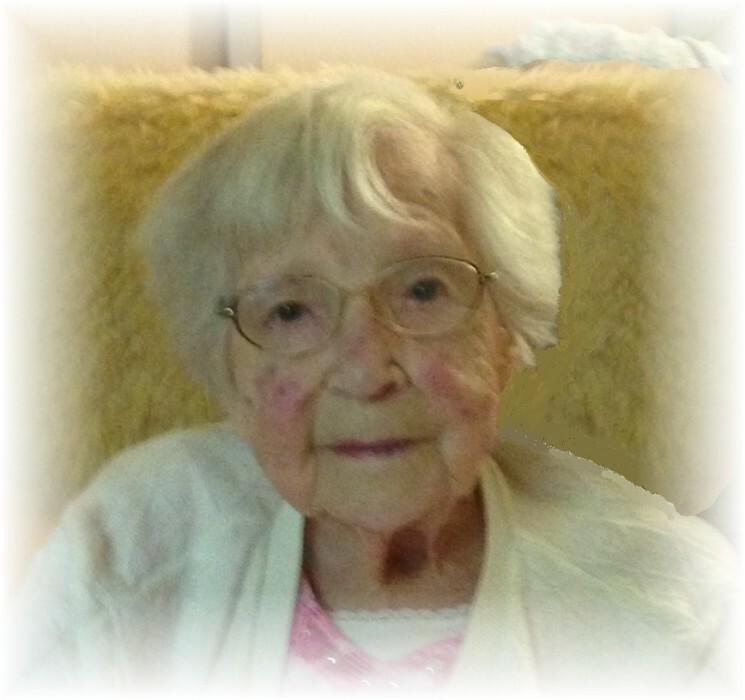 Ilo is survived by many grandchildren, great grandchildren, great, great grandchildren, nieces and nephews, family and friends and staff of the Vita Personal Care Home where she resided in her last years. Graveside service will be held on Tuesday, January 29th, 2019 at the Menisino Cemetery in Menisino, MB at 1:00 p.m., followed by a luncheon at the Vita Friendship Centre. Chase Stewart and Scott McChesney Officiating.